I’m finally getting around to posting about this fantastic cowl that I have had finished for a while. It just took me forever to photograph it for some reason. I couldn’t remember to accost my 16-year old son to have him model it, but I finally made it happen. I must say, this is one of my favorite projects yet. And it’s a free download on Ravelry! 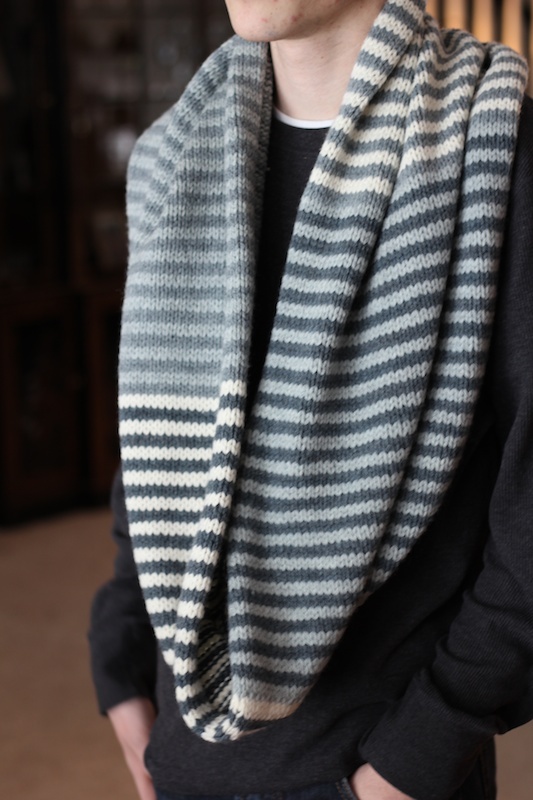 This cowl is knit in just four colors. It uses two colors at a time and you end up knitting four different sections, using two different color combinations each time. 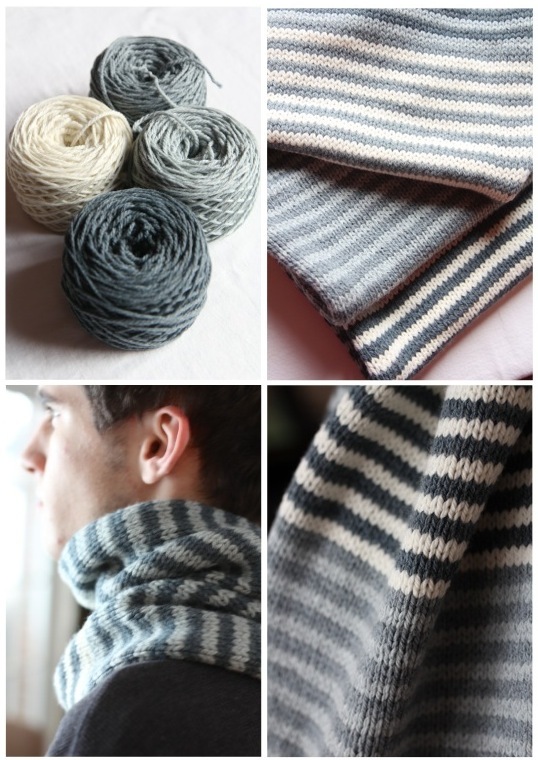 On Loop Knits, they show you some possible color combinations. I used some nice blue-greys in Quince Osprey, one of my favorite all time yarns. 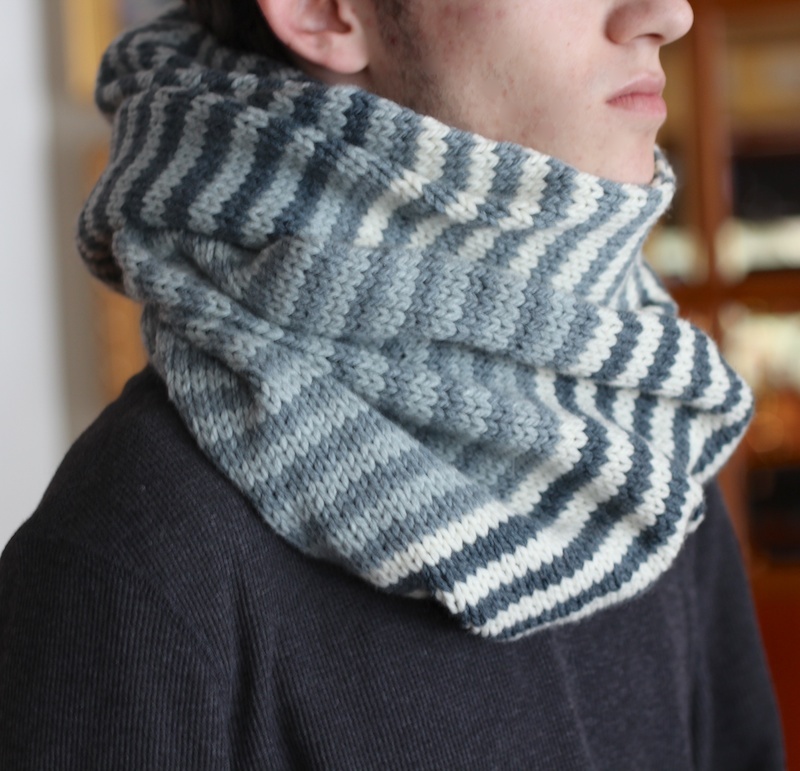 This is one warm cowl, when you wear it doubled up. I love it. This project was my brainless TV or movie knitting, where I don’t have to follow a pattern. The only downside to this pattern is that it is not knit in the round, so there were the dreaded purls that I had to do. But I got through them. I did knit this on a long circular needle, which helped with the bulk of it. You finish it up with a kitchener stitch. So does that mean you only had to buy 4 skeins of Quince versus 8 of the Erika Knight? Mary: Yes, I just used 4 skeins of the Quince Osprey. It wasn’t the exact yardage for the pattern, but it came out just fine in length. Do you think it is necessary to do a gauge swatch? Mjla: I did use 80 stitches. I think the last section was shorter than the other 3 sections, because I ran out of yarn. It was fine, though. 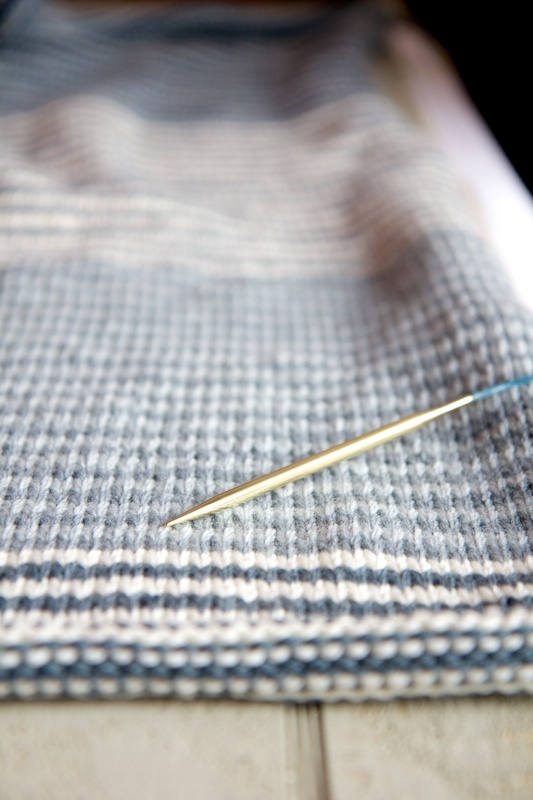 Mary: I did not do a gauge swatch and I really don’t think it’s necessary for this pattern – it does not have to be exact. 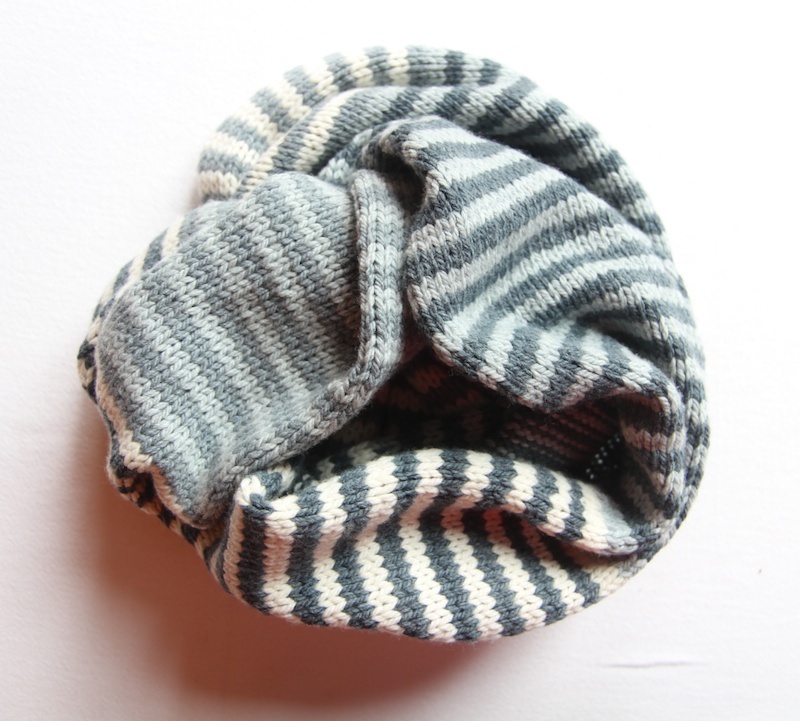 Oh Wow, this Roundabout Cowl turned out just fabulously to be sure. My question what type of Join did you use each time you changed colours? And you mentioned it is knitted flat rather than in the round.. oh that’s too bad. But as you said, you used the Kitchener stitch to put it together. It is really lovely ! do you sell any/make these for sale at all? Johanna: Gosh, thank you! I just make them for myself and as gifts. I’m sure you can find people who sell handknitted items on Etsy.